Organized by MAP’s Emerging Planning Professionals Committee, this three-part event brings together MAP’s network of professionals and emerging planners for an afternoon of networking and education in downtown Detroit. Come to some or all of the events! What you need to know... before you go! Read the EPP Career Building Resource Guidebook before you go to your next networking event. 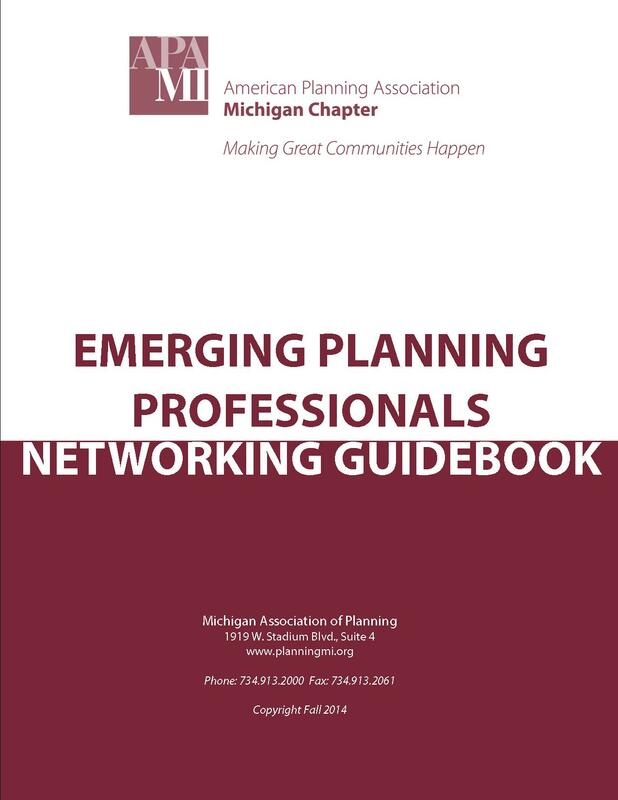 The EPP committee has collected resources to equip and prepare emerging planners in Michigan. The EPP Career Building Resource Guidebook is a fluid introduction to professional networking and etiquette techniques that can be used at a variety of social, professional environments.